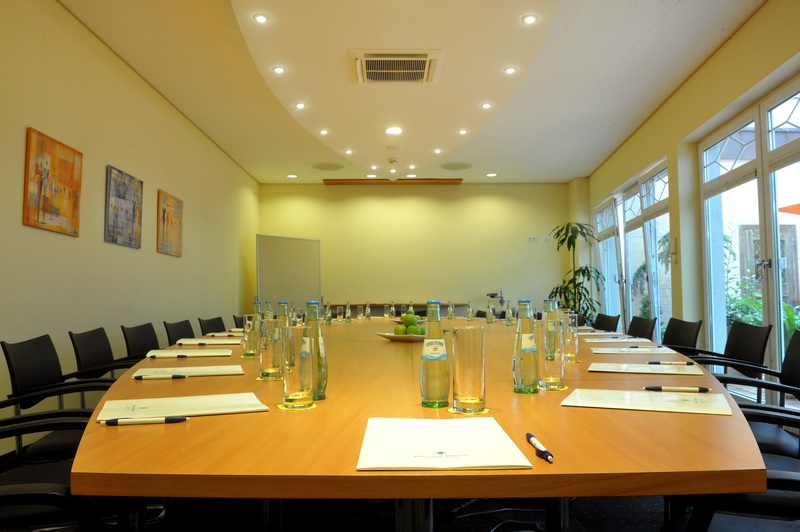 The best location for your meetings in between the main station and the Koenigsallee! Perfectly reachable for your guests. Truly a Business Hotel in this beautiful exhibition center. 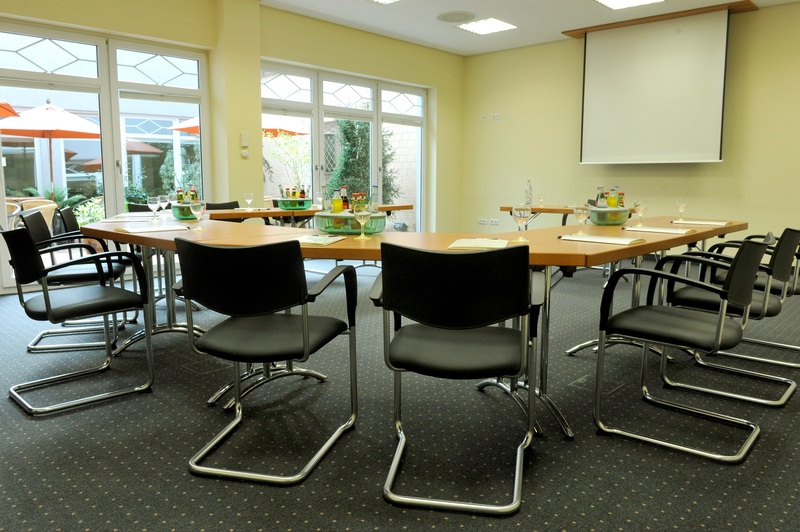 Hotel Stadt Muenchen provides two bright and air-conditioned conference rooms, an excellent choice for your meetings, training courses or workshops. The light-flooded rooms (each around 54qm) with a direct connection to our beautifully designed inner courtyard provide enough space up to 30 attendees. Equipped with a beamer (connectable to a notebook or PC), overhead projector, silver screen and a flip chart our congress rooms fulfill all your requests. We provide modern conference technology, friendly and flexible service and free high speed Wi-Fi to our guests in the complete hotel area. Our well trained staff will serve you with best possible flexibility, so your event will become a success. Self-evident we provide you with dishes and drinks if wanted. All prices are per day and include the service. Also they include freshly brewed coffee, tea, and coffee specialties. air-conditioned conference rooms and direct connection to our courtyard. All prices are per day and include the service. The coffee breaks include freshly brewed coffee and tea. In the forenoon we additionally provide a seasonal selection of fruits and in the afternoon some pastry. Please be aware booking our conference package is only possible from 10 persons on. At a lower occupancy we charge all services separately. Bagels with cream cheese, turkey breast, tomato and arugula, vegetable sticks with various dips, cut fruit, cereal bars. White sausage, meatloaf, sweet mustard, pretzels and lye bun. Tomato Mozzarella with basil and balsamic cream, ciabatta with Parma ham and dried tomatoes. All prices are per day and include the service. The coffee breaks include freshly brewed coffee and tea.